In the early '90s, I was working with an urban-rural fringe community that was in the path of growth. The community recognized their need for a new zoning ordinance that would promote their small-town identity while still accommodating new development. I had reviewed all the data, analyzed land use patterns and calculated various ratios of land use categories to create development scenarios. I provided neat handouts and colorful maps. But the project was going frustratingly nowhere. Despite all the facts, the analyses, and carefully-drawn scenarios, we were all at loggerheads. The project deadline was looming, the budget was growing thin, and from all appearances, we were still a long way from the new ordinance. The data simply weren't telling the story the community needed to hear. The facts DON'T speak for themselves. Planners are trained as scientists, taught to emphasize statistics, inventories, trends, analyses, and projections. Our job is to help ensure that community decisions are rational, and the link between current conditions and future solutions is logically defensible. But the facts alone don't provide what planning staff and planning commissioners need to do their jobs effectively -- to compellingly communicate the issues to the public, and to draw citizens into meaningful involvement that translates into dynamic results. More often than not, we put the facts out there and then become frustrated when the converts don't flock to our camp. 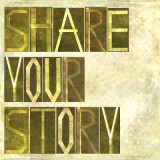 In doing so, we have overlooked our most powerful communication tool: story. Story is the universal human language. We think in story. We form our attitudes about the world around us in story. We use the stories we tell ourselves to justify our opinions. And before we can influence others' opinions about an issue or propel them to action, we need to tell compelling stories that make the facts accessible to them. When you are considering how to move a new comprehensive plan or a new zoning ordinance from inception to completion, you may be thinking, "We don't have time to tell stories. We already have too many meetings and they always last too long." Taking the time to tell and hear stories is the key for effective information-gathering, consensus-building, and community-strengthening. 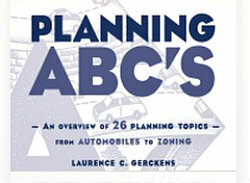 ... article continues with look at how stories can be used in planning. Editor's note: Lisa supplements her article, by describing in a short audio clip, three important lessons she’s learned about the use of storytelling.